Let me begin with huge thanks to those who have pledged already to help make Diagram for Delinquents a reality! I cannot express the excitement, joy, and encouragement this gives the filmmakers. I’m going to use this space to tell you about the pre-production progress of the film and to share some of the exciting discoveries we have made so far and will continue to make. We are so pleased to be working with them, as they will bring so much experience and original thought to the discussion and narrative. 2. It Came from the Archives!! I’d like to release some of the more interesting documents we have uncovered in our journey through the Fredric Wertham Papers. Today, I’d like to share a curious letter sent to Senator Estes Kefauver from Dr. Frederic Wertham on September 21, 1954. But first, some background: Senator Kefauver (right) was elected to the Senate in 1948 after putting in significant time as a state Representation from the 3rd District of Tennessee. While in the Senate, Kefauver sat on significant committees dealing with monopolies and organized crime. However, it his time spent on the Senate Subcommittee on Juvenile Delinquency that is the focus of our story, Diagram For Delinquents. The Subcommittee was established and originally chaired in 1953 by NJ Senator Robert Hendrickson (My home state!). The original formation of the bipartisan Subcommittee included Hendrickson, Kefauver, Thomas C. Hennings, Jr. of Missouri, and William Langer of North Dakota. Others and various lead counsel came later. The Subcommittee heard testimonies, in several parts, from experts testifying on the possible causes of juvenile delinquency from television to comic books as well as defenders of targeted culture and media. One of the experts in the comic book hearings (held on April 21st, 22nd, and June 4th of 1954) was New York psychiatrist Dr. Fredric Wertham.Wertham, who had recently published his indictment of comics, Seduction of the Innocent (which was read with enthusiasm by Kefauver) was an expert witness on the impact that comics made in creating deliquent behavior in children. The drama of Wertham’s and other’s testimonies before the Subcommitte and the exchanges with Kefauver will make much of the drama of our film. I now present to you a letter written to Kefauver from Wertham about five months after his testimony. This letter, from Wertham’s own archives, expresses his unhappiness at the direction of some of comic book publishers and who they may or may not have in their “back pockets.” Of note are Wertham’s description of the situation, the money that is involved in the comic industry, and Wertham’s urgency to push Kefauver to complete his intended goal of straightening out this whole comics business. Click on this (and above images) to enlarge. Getting a film produced is difficult and requires the aid of many. Fortunately, using new and creative fund-raising ventures, the internet has made the process all the more achievable. If you’ve found any of this interesting or historically important, please help us bring you the full story in video form by visiting our Kickstarter site. There, you can watch the promo trailer for the film, and you can make a pledge to help make this film a reality. 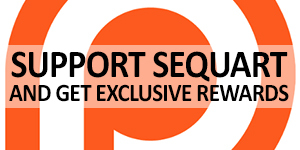 You can also pre-order your own copy, and there are many other exciting incentives. Thanks, and we’re looking forward to hearing from you! 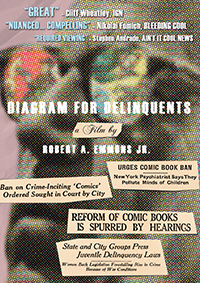 Tagged Amy Kiste Nyberg, Bart Beaty, Diagram for Delinquents, Douglas Wolk, Estes Kefauver, Fredric Wertham, Reading Comics: How Graphic Novels Work and What They Mean, Seal of Approval: The History of the Comics Code. Bookmark the permalink.